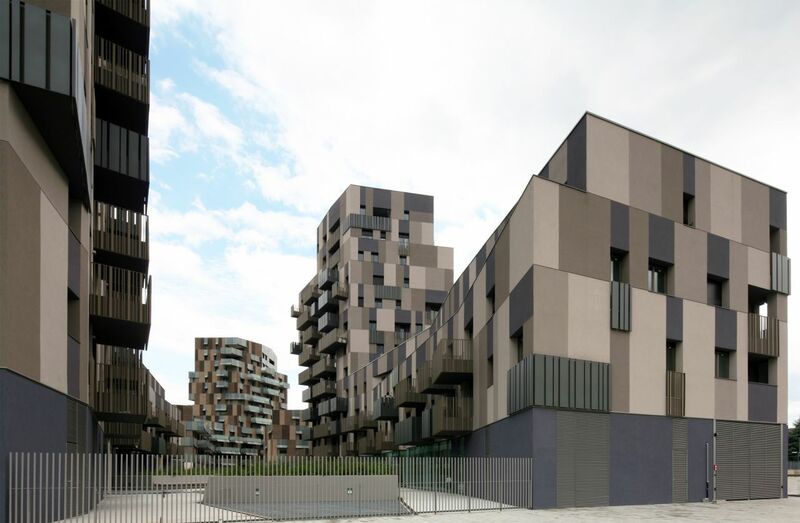 Tall volumes that overlook the hilly landscape, resting on block-shaped foundations that define a new system of public spaces and enclose green courts: the urban model adopted by the master plan for the area north of Bologna station is clear and convincing. 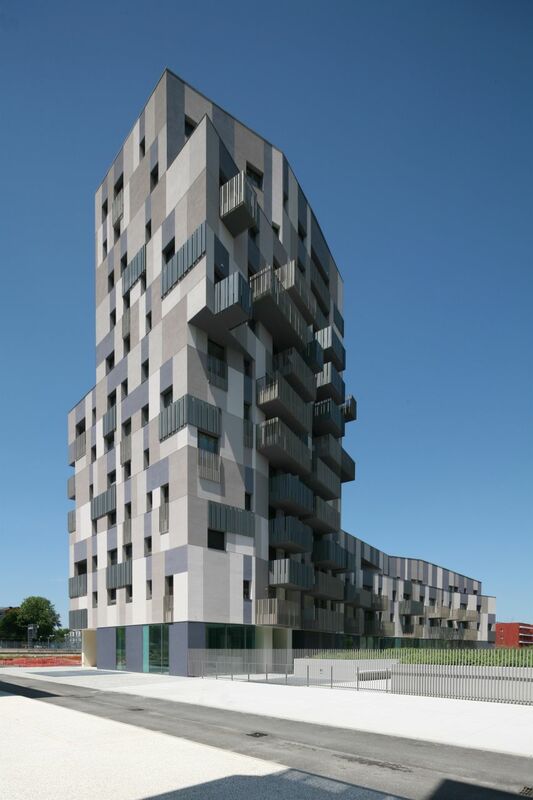 The European experience on the upgrading of semi-central areas has proven the efficiency of this solution, producing new urban environments where familiar forms are reorganized in new configurations capable of meeting the requirements of new lifestyles and a renewed appreciation for natural resources. The wide range of different settlement functions makes the new project a true part of the city, and not just an added expansion. 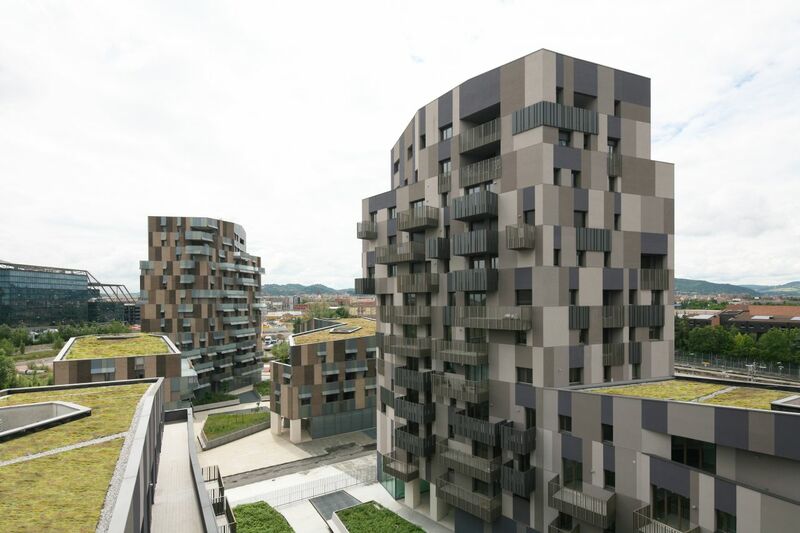 The architectural elaboration of four of the blocks defined by the masterplan makes it possible, due to the individual positioning of the elements, to create a variegated architectural scenery that pays attention to the conditions of the margins of the plot, the building plan and the orientation with respect to the path of the sun. Tall and low buildings form a varied silhouette along the street, with shared gardens of high environmental quality behind the street front. 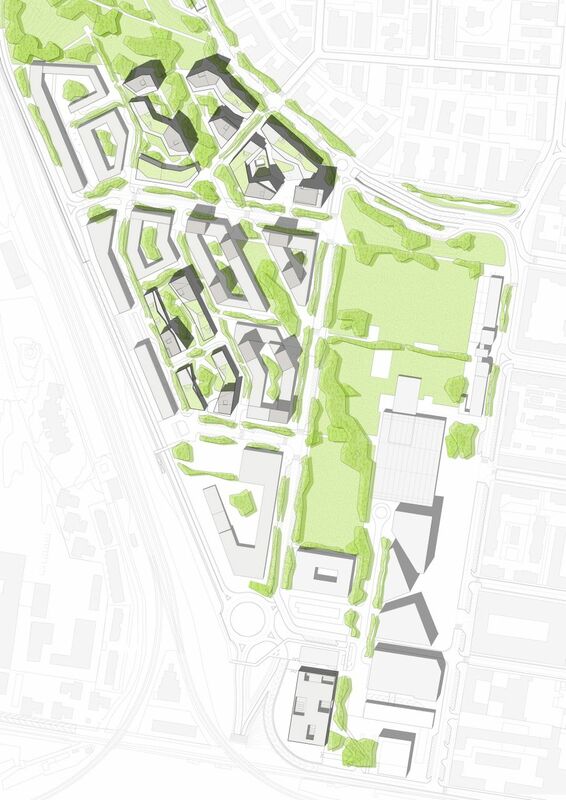 In the northern part of the project area the building bodies become freer with respect to the street margin, opening for connections between the tree-planted courts and the larger green areas of the park, in a kind of architectural “glissando” between the more compact urban tissue to the south and the park landscape to the north. 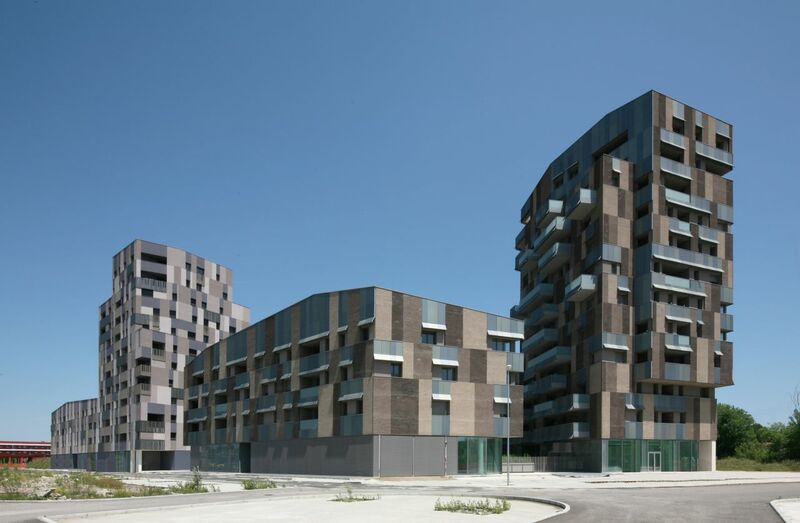 The irregular development of the buildings towards the interior of the block, the different heights of the elements, the large terraces facing the courts and the loggias that give the facades to the street rhythm contribute to create a comfortable and varied urban environment which echoes, in an abstract form, the scale and spaces of historical Bologna visible in the background of the new park. 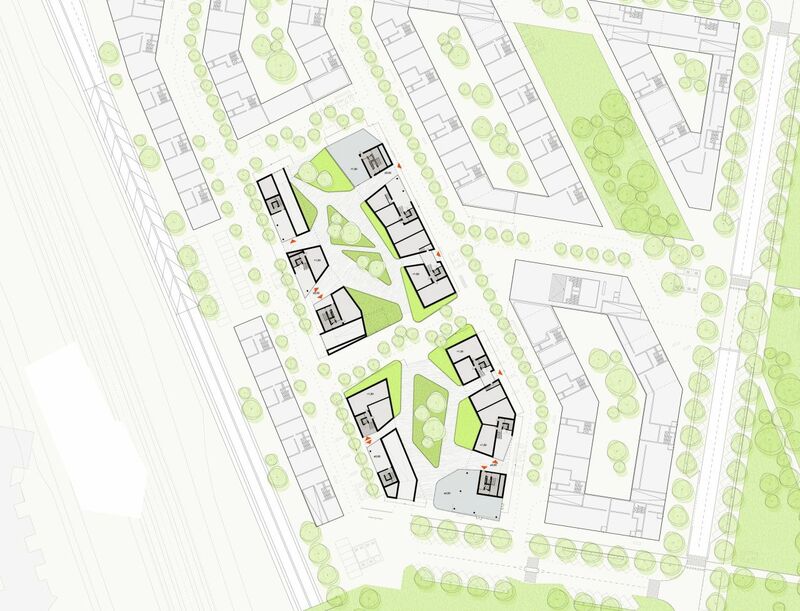 The variety of the functional programme – dwellings, shops and offices – provides opportunities to articulate a sequence of urban spaces of different qualities. The commercial plinth section is divided to open a pedestrian open-air passage through the block. The roof of the plinth housing shops is covered by terrace gardens belonging to the dwellings on the above floors, which face ample recessed terraces. 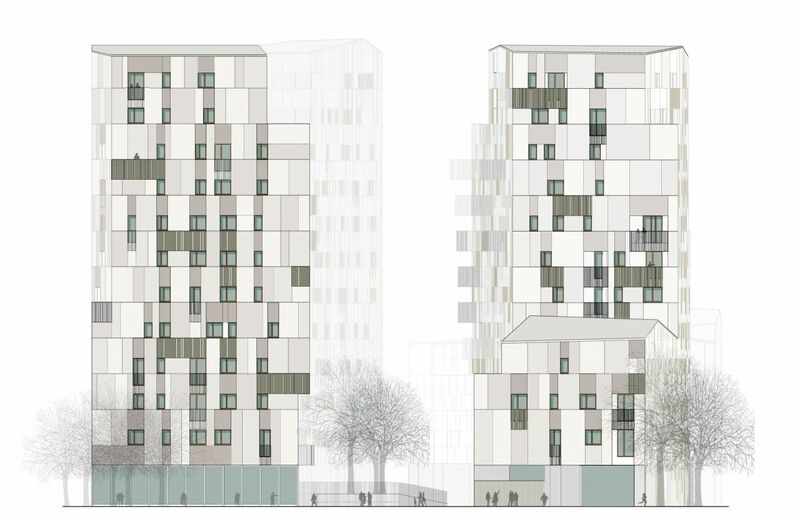 The blocks to the south interpret the theme of environmental quality which animates the whole project in a more “urban” key. 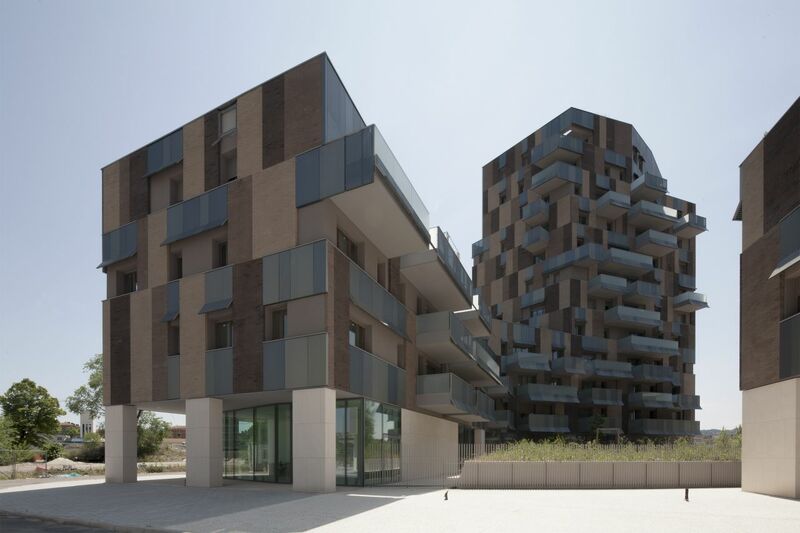 The block model required by the plan is partially open towards the minor streets in order to allow as much sun as possible to reach the interior of the courts and the apartments at all hours of the day, and to create a continuous north-south axis of interior gardens. 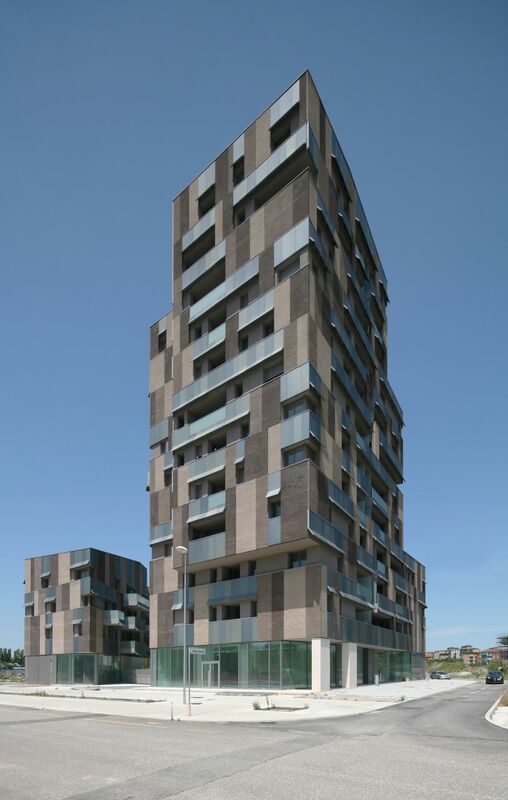 The taller volumes and the lower ones with terraces on the inside, united by the multilinear profile of the eaves and the large openings in the plinth section, presents a more compact exterior front where loggias are alternated by tall windows. 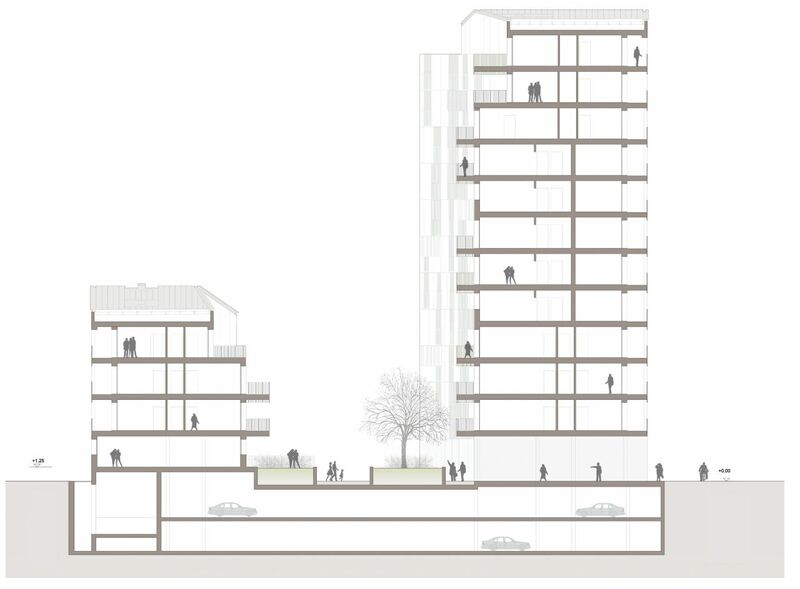 The integration between the public dimension of the city and the private one of the dwelling is achieved through an attentive design of the distributive characters of the different floors; the arrangement of the unit housing stairs and elevators allows maximum flexibility in the subdivision of the dwellings, which may be modified over time to meet the changing needs of the family nuclei. 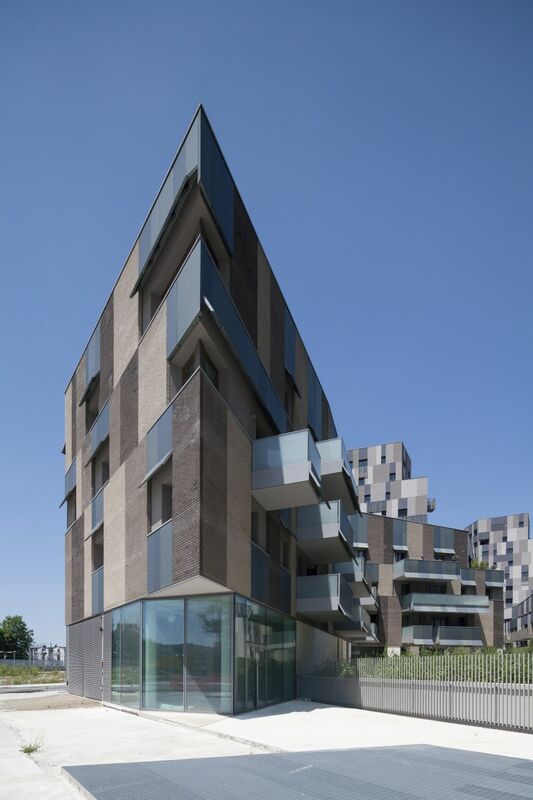 All the apartments are designed paying close attention to how the rooms are exposed to the sun, and are organized around an open private space in the form of a loggia facing the ‘urban’ outer walls of the block or a balcony facing the green court, which represents an important element of mediation between interior and exterior. Inspired by the example of the tissue of the antique city, a few simple architectural elements have been combined in new ways in an ever-changing web: large spans covered by plasterwork in a warm grey shade of varying intensity and saturation, bricks in various terracotta nuances, panels in aluminium electro-coloured in grey green or grey-blue hues, parapets in frosted glass and steel, which acts as “continuous basso” to the architectural accents that mark the different places of the new project. 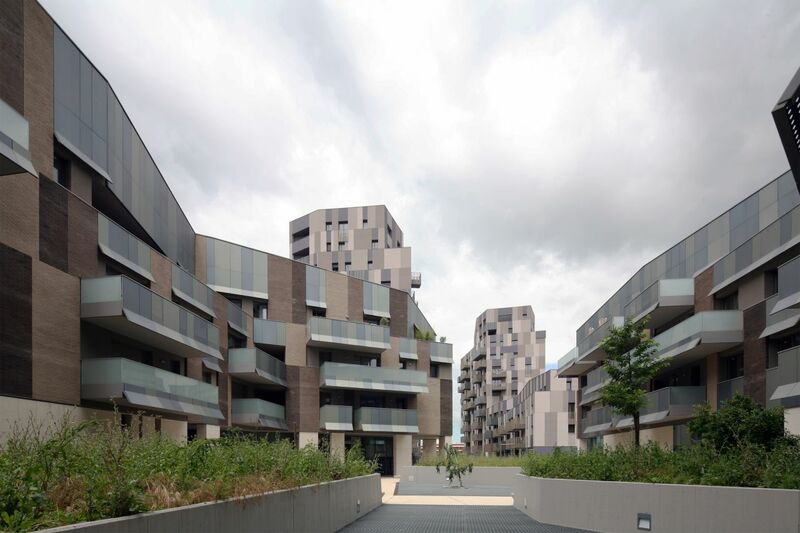 Countering the progressive “suburbanization” of the territory, to restore a high quality of life in the city means to preserve its vitality and social and environmental richness, a pivotal element that plays an indispensable role in the Italian landscape.